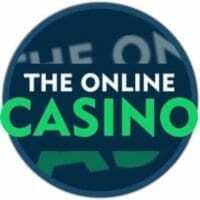 Yep, a casino called the Online Casino has just been released. Now that we think of it, why did it take so long to get one? That is the perfect name! You cannot really mistake the brand name for anything else. But, unfortunately, it seems like this brand new Nektan Limited site is not a perfect one. There is as little imagination as its name has. The site looks old and their bonus terms are terrible. To cut it short, it looks like a site that was built in a week. Their bonuses seem nice. 10 spins upon registration and 200% bonus for the deposit. Not bad, right? Well, the free spins winnings have 100x wagering requirement and all the winnings are capped to 4x. So not worth to make large deposits and hope to win big. That ain´t happening. This brand falls into the category of “you can try it but probably you will not like it”. This though, is just our opinion, how about yours?